Picture this: it’s a dark and stormy cold November evening. You’re spending time with your family, keeping an eye on the local news’s weathercast forecast, when, suddenly, the power goes out. Without a reliable generator, the loss of electricity to your home can turn into a disaster. That’s why investing in a generator you can depend on to keep your home running in the event of a disaster is so important. The good news is there are many generators on the market, the most dependable of which includes the Yamaha 2000 generator. Want to know how this generator can spare you panic in the event of storm? Keep reading to discover more. 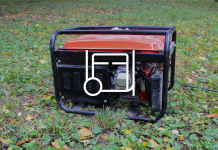 Portable generators are incredibly useful in the face of an emergency. Let me explain. Portable generators are ideal because they cost significantly less than standby generators and feature quick and easy start up. While standby generators run about $2,000s -$10,000, you can find a high-quality portable generator for less than $2,000, with typical inverter prices around $850-$1,500. Also, keep in mind that portable inverters are more versatile than standby generators. Portable inverters allow you to easily generate power wherever you go, which is ideal if you do a lot of on the road traveling or camping. The uses for a portable generator are almost limitless. However, not all portable generators are created equal. 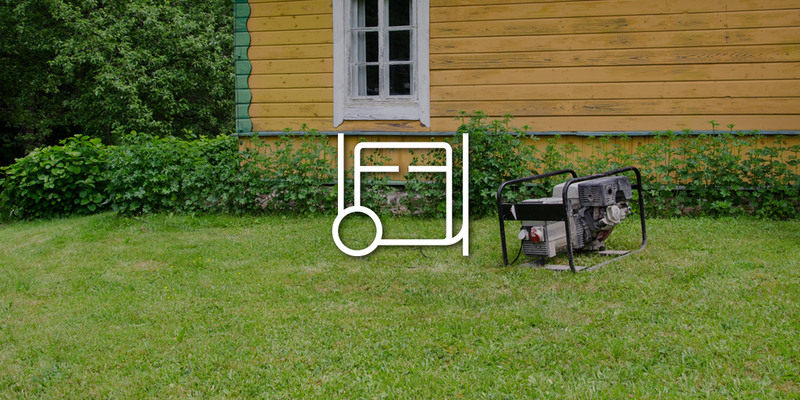 When selecting a generator, keep a couple key points in mind. Firstly, if price is an issue, you want to find a generator that can provide the most power for your buck. Secondly, it’s crucial to remember that, unlike standby generators, portable generators come with some drawbacks.Ideally, you want a generator that provides a balance between the amount of gas it takes, and the amount of power it provides. No one wants to make the mad dash in the middle of the night, in below zero temperatures mind you, to refill the generator. So find a generator that holds a decent amount of gas to last you at least through one night. Thirdly, generators with higher wattage can run more appliances. This is a greater convenience for you because you won’t have to unplug multiple appliances to use others. Finally, one of the most important factors to take into account when purchasing a generator is amount of noise it makes. The last thing you want is for your neighbors to complain that your generator keeps them up at night. 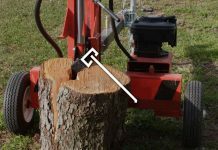 For these reasons, you might want to consider purchasing a Yamaha generator. These generators are the best in their class because they are fuel efficient, easily portable, and support a wide range of appliances. Additionally, Yamaha generators are known for their high quality designs and long-lasting durability. Keep the following Yamaha 2000 Generator review in mind when making your next purchase. 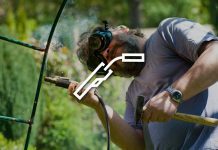 Want to purchase a generator but worried about your carbon footprint? 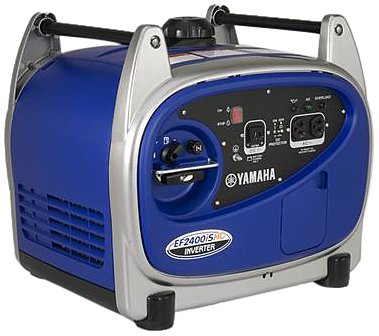 Well, the amazing thing about the Yamaha EF2000iS portable generator is that it produces about 2,000 watts of clean AC electricity. Not only is this inverter backed by a 2-year manufacturer’ s warranty, but it is also built to last. Among the more durable features of this product are the TwinTech technology, which allows you to use two Yamaha EF2000is to provide double the output, and the oil watch warning system. This gas-powered generator allows for maximum fuel efficiency. When switched to the economy setting, this generator can operate for around 10 hours without needing to be refueled. Take a moment to think about what this could mean for you. Rather than having to trudge outside in dismal weather to refuel the generator every five hours, you can actually get through a night in the comfort and warmth of your home. And believe me, it gets better. This machine can support a wide variety of appliances, from general electricity, such as light sockets, to more delicate equipment such as your T.V. and microwave. What’s more, unlike many generators on the market, the Yamaha EF2000is is different in the sense that is the best quiet portable generator. 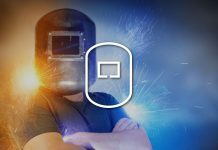 While other generators are notorious for being incredibly loud, the innovative noise reduction technology implemented in this inverter is easy on the ears. Place this product at a reasonable distance from your house and you’ll hardly remember it’s there. It’s that quiet. More astonishing is this machine’s weight. Say goodbye to bragging rights about bench-pressing the generator. This inverter sets the bar when it comes to living up to the term “portable.” This product is incredibly lightweight, weighing an unprecedented 44 pounds. For a generator priced under $1,000, this machine’s innovative technology really gives you your money’s worth. However, one thing this Yamaha EF2000iS review aims to do is provide a complete overview of this brand name inverter. For that reason, you should be aware that this product does not come with oil. All oil must be purchased separately. While this machine is a little heavier than other portable generators, it’s definitely worth every ounce of its weight. This is an especially great inverter to invest in if you often use your RV during the summer time and need a generator to start up the air conditioner. 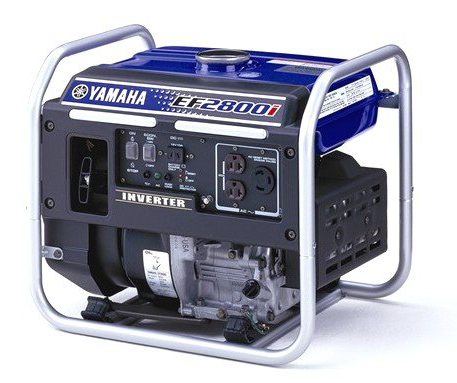 The Yamaha 2400 generator is long lasting, durable, and can produce an average of 10 hours of useable power. 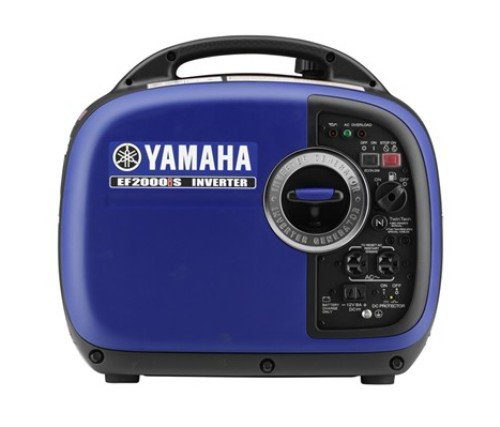 Consider purchasing this Yamaha 2000 generator if you go camping often. This is the perfect generator for your RV, or trailer, because it can run multiple appliances at the same time. 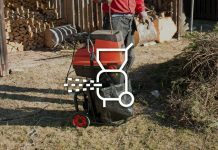 The Yamaha 2400 generator specs state that this machine is able to run about 8.6 hours of 500 watts (according to the manufacturer) and weighs about 75 pounds, making it heavier most portable generators. But here’s the kicker: the Yamaha 2400 generator also features a smart throttle, which automatically adjusts the pace of the engine to match the load of power needed. Yamaha’s smart throttle technology makes for a more fuel-efficient product. Additionally, what’s particularly wonderful about this inverter is its ability to warn the user when the oil gets low, which helps to protect the engine from potential damage. It’s also relatively quiet, which can give you some peace of mind if you’re running the engine into the late hours of the night (although you might hear it make some noise at higher engine speeds). However, this product does run for a steeper price compared to other portable generators. 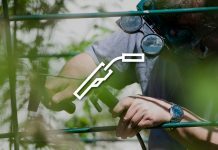 That’s why it’s important to assess for what purposes, and how often, you’ll use your generator. 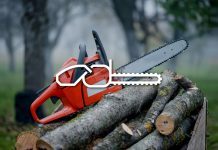 If you’re looking for a cheaper option and plan to use this generator only in the event of an emergency, then this might not be the item for you. On the other hand, if you go camping, hunting, or traveling with your RV often, then this is the ideal gas powered portable inverter for you. You can also use this inverter in the event of a black out. It has the ability to power appliances, and even devices like your laptop and tablet. If you’re looking for something that’s high powered at a lower price, then the Yamaha EF2800i is your dream machine. For its range of uses and user-friendly design, this product is priced at an exceptionally good deal.The gas powered generator can run for over 12 hours on a full tank of gas, which is great if you prefer to refuel only once or twice a day. This machine is also lightweight and features an automatic low oil alert system, where the inverter will actually shut down until it is refueled. Ready to hear the really good part? These properties are not what make the Yamaha Ef2800i so unique. What really sets this generator apart from other products is its ability to be used for diverse purposes. Because this gas-powered generator has an output of 2,500 watts, it can be used to power a RV or get you through an outage or blackout (though maybe not at the same time). This generator has the power to run an A/C unit or multiple appliances, such as a fridge, coffee machine, and T.V. at the same time. 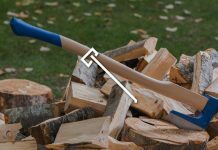 Even better: this machine is easy to start, generally kick-starting after the second or third pull. But it doesn’t stop there. One of the biggest concerns you might have after purchasing a generator is the replacing broken or malfunctioning parts. In the case of many competing brands, like Honda, you might have a hard time finding the right replacement parts, especially for the starter rope or fuel valve. You’ll find that this product is different. The inverter is very user-friendly, and replacement parts are easily accessible online or at a Yamaha dealer, which helps to ensure that your generator will be around for a long time. One of the biggest things this Yamaha Ef2800i review can attest to is the fact that this inverter is long lasting. Its durable design, and quality engineering, makes this generator able to withstand several years of use. With the proper care and maintenance, it’s not uncommon for this inverter to provide great service for seven to eight years. The only drawback of this product is that, when compared side by side with some of the newer models, it can be a little louder. However, for its price range and the age of its design, it is much quieter than many other generators on the market. If you don’t mind the sound, then this is the perfect machine for you. The key to having a generator that satisfies all your needs is to purchase a product that meets all your needs. What I mean is that you want to buy a generator that is designed for the specific purposes you intend to use it for. You wouldn’t want to buy an inverter intended for camping if you only plan to use it during a storm. That kind of portable generator might be too heavy and too pricey for your purposes. Don’t forget that the opposite is also true. 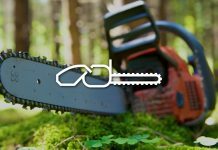 If you intend to use your generator for camping, then you want to purchase one that has the ability to handle that kind of output, even if that means it might be a little heavier. 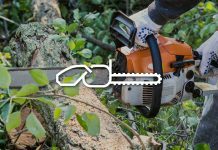 In the end, whether you decide to purchase a Yamaha 2000 Generator, or another brand-name generator, the most important thing you can do is to properly care for your product. 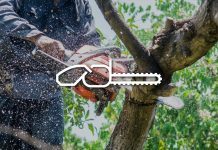 And always remember to adhere to basic safety guidelines when operating your generator: never operate a generator inside, and in the event of a hurricane or severe storm do not venture outside to run any machinery. Knowing how to safely use a portable generator is probably the most important part of owning one. Not adhering to the safety guidelines that come with your inverter can lead to fire damage, carbon monoxide poisoning, and potential death. Don’t forget that you have a responsibility both to yourself and those around you to handle these machines with great caution and care. As long as you manage these risks responsibly, operating your generator should be no problem. Additionally, purchasing a generator has the potential to provide you with plenty of peace of mind and convenience. A generator gives you freedom in the event of a storm, power outage, or other emergency. 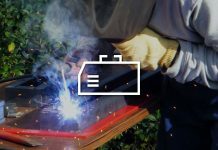 It can also give you much comfort during adventurous camping trips or family outings, without having to worry about your killing your RV’s battery. So take the time to find a high quality portable generator. The higher the quality, the longer the machine will last. Well-manufactured inverters also feature numerous technological benefits that can allow you to be at ease when operating your generator, such as low oil warning systems, higher wattage, and quieter operating functions. Remember, high quality generators also develop clean power and are energy efficient. Keep these principles in mind, and, once you’ve purchased your new generator, you’ll happily enjoy it for many years.